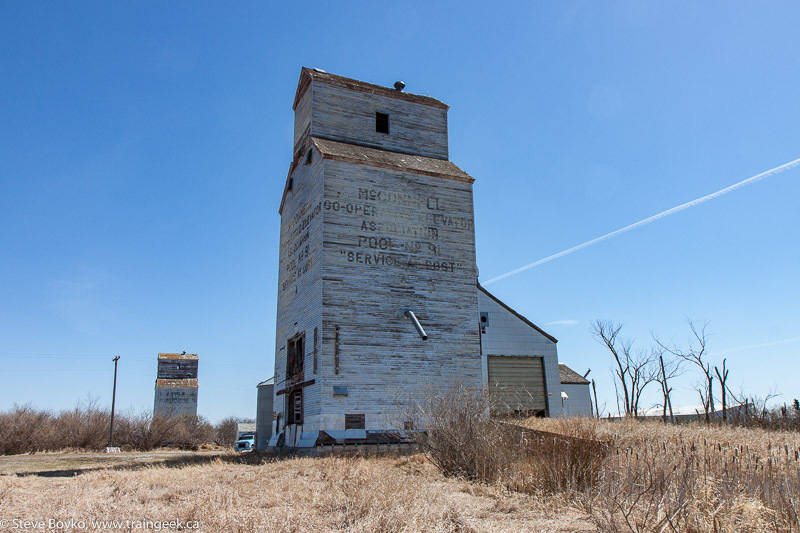 After visiting a few grain elevators on the CP Bredenbury subdivision, I switched over to some older elevators on the former CN Rapid City subdivision. The three I will be writing about are Beulah, Isabella and McConnell. 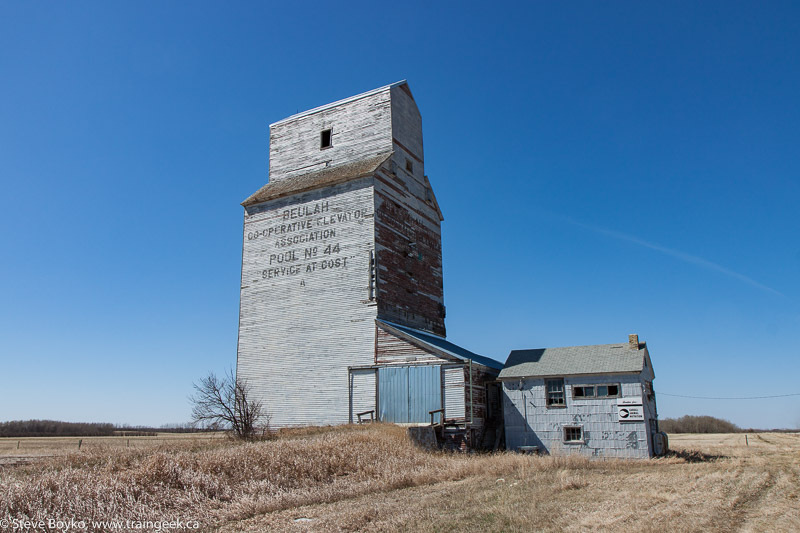 This elevator is located right off highway 83 and is on the opposite side of the actual town/village of Beulah. It looks abandoned but it may be in use for private grain storage. 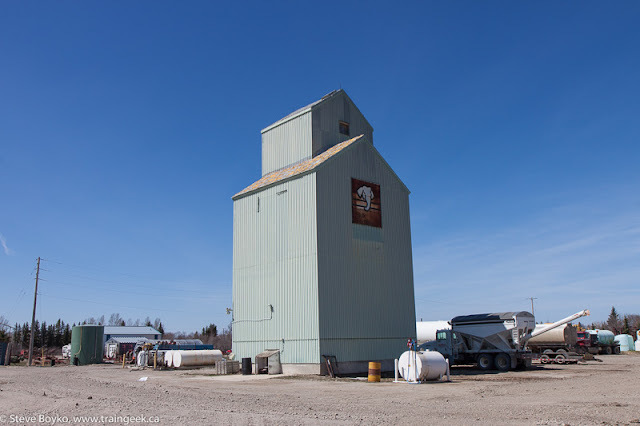 The office building is semi-detached and still has a Cargill sign on it, but the other side of the building shows how close this elevator has come to destruction. This isn't new, though... photos from 2014 show the same damage. 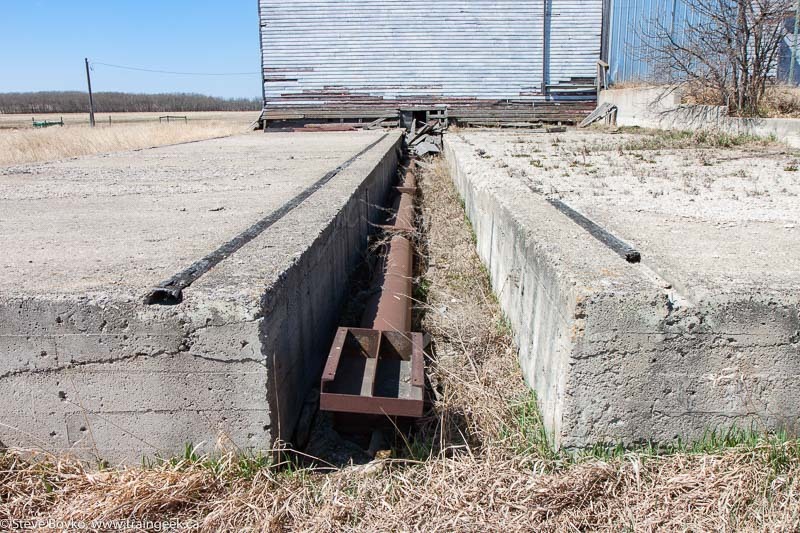 The elevator doesn't have an annex any more, but you can see the foundation where it was, and the piping that was underneath the annex to return the grain to the elevator. I recorded a little walk-around video. Sorry for the wind noise! This elevator doesn't seem like it has a long or happy future ahead of it. Let's hope that I'm wrong about that. From here I backtracked to route 355 and headed east to the town of Isabella. Ah, Isabella. 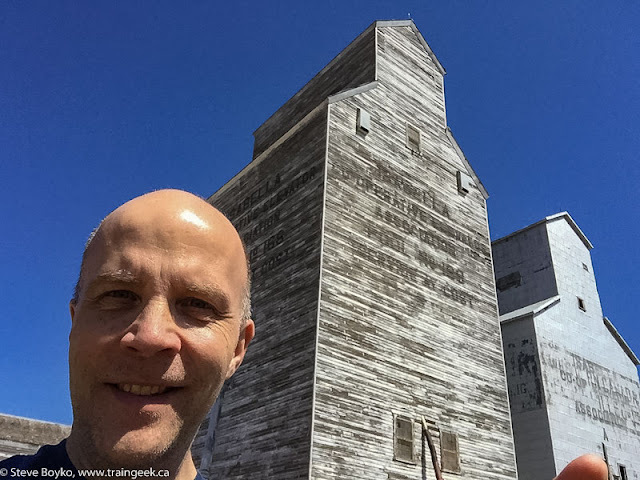 This town has two grain elevators, one of which is a former Western Canada Flour Mills elevator! 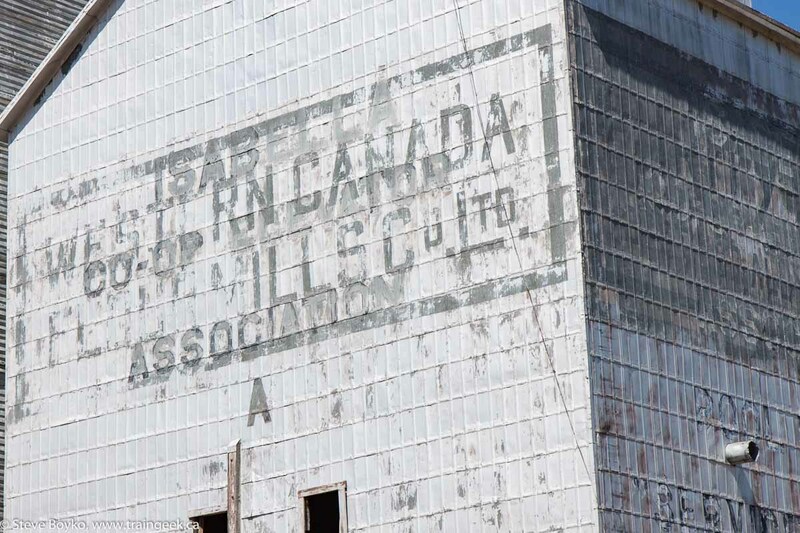 Western Canada Flour Mills Co.
You can see from the multiple layers of lettering that it was labelled for the Manitoba Pool as well, as elevator "A". 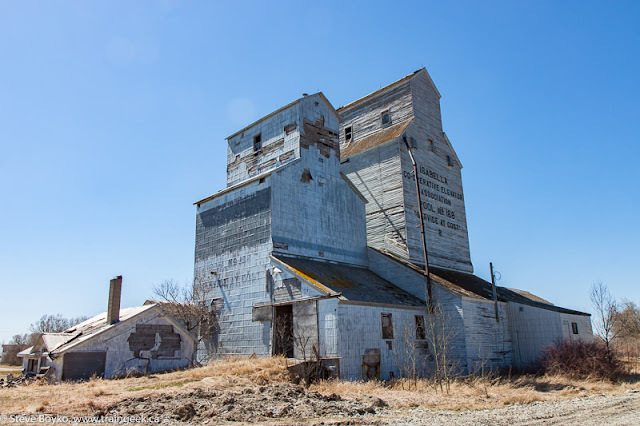 Western Canada Flour Mills had a heavy Manitoba presence in the early 1900s until the 1930s when many of its elevators were sold to the Manitoba Pool. Many of their elevators were located on Canadian Northern lines. Lots of WCFM elevators in Manitoba in 1911-1912! You can read more about WCFM and other flour mills on the Manitoba Historical Society site and in the History of Grain Elevators in Manitoba (PDF). 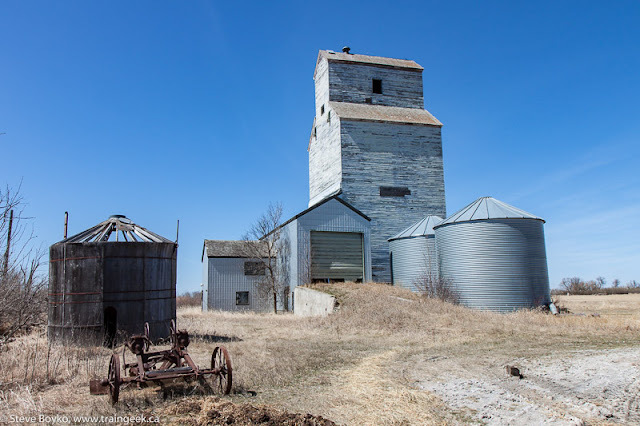 I'm not sure if the elevators in Isabella are used for grain storage, but there was quite a bit of farm equipment parked on the former railway right-of-way. There is a large farm nearby and the town definitely had some occupied houses, so there's still life in Isabella. The elevators are somewhat joined in that they share a common driveway. 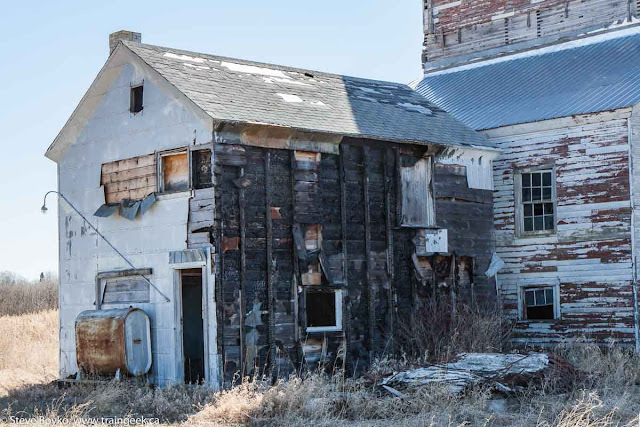 Like I said, it's not clear if they are still used for grain storage. You can see from the photo above that the power is disconnected so perhaps they are dormant. It was time for another selfie. After Isabella, I continued east on 355 until it met provincial highway 21. 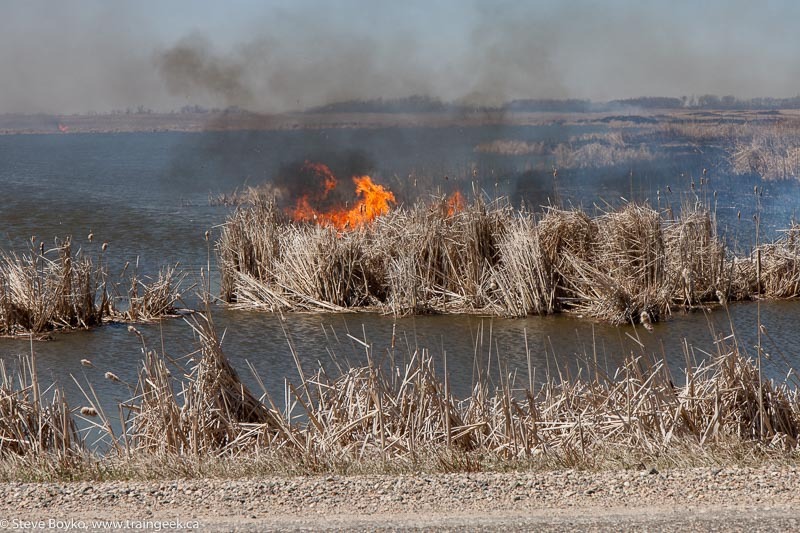 There I found a grass fire burning, right up to the road in places. That's the shoulder of highway 21 at bottom of frame. It didn't look like the fire was controlled, but I saw people driving from the nearby house and an RCMP car drove by, so I figured people knew about it. The ghost town of McConnell doesn't have any paved roads nearby, so it was a long drive over gravel to get there. McConnell is definitely a ghost town. There are two elevators, partially integrated into a farm; there is a church that was converted into a home and now appears abandoned; there is an abandoned school; and there is a monument. That's it. In the above photo, the two elevators are visible ("B" on the left and "A" on the right) and so is the old church. The school is off the left side of the photo. 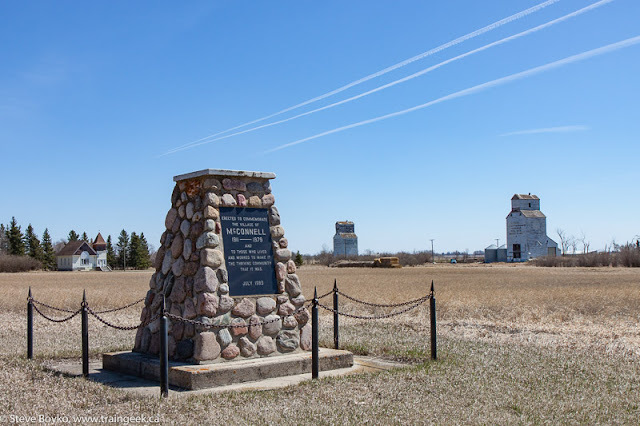 The monument reads: "Erected to commemorate the village of McConnell 1911-1979 and to those who lived and worked to make it the thriving community that it was. July 1983"
The Manitoba Pool "B" elevator is inside a pasture. There were some cows milling around but they paid no attention to me. I took my photos from outside the fence. Here you can see the "B" elevator, with a fairly large hole in the side, no driveway, and what I presume was the office located a fair distance away. The "A" elevator is closer to the center of "town" and appears to have had some work done on it. The roll-up door on the driveway certainly isn't original! It doesn't look like the "A" elevator is in use either. Here's a look along the former railway right-of-way, although it isn't very evident where the railway used to run. There's a nice view of the two elevators from a nearby road, complete with cattails. One more view of the two elevators before we continue on. That was the end of my elevator tour of the former CN Rapid City subdivision. 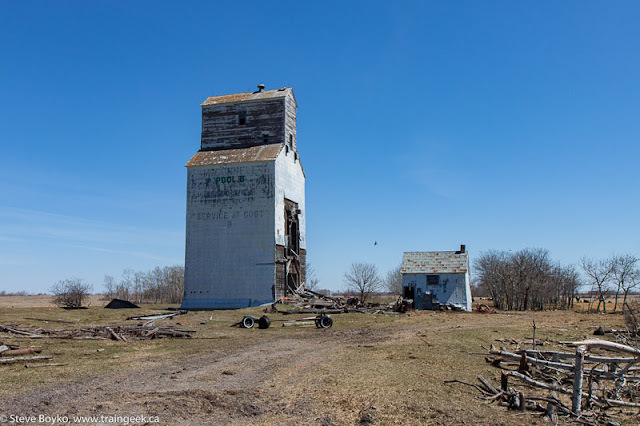 I had already seen the other grain elevator that remains on that former subdivision, Mentmore. From McConnell I doubled back to highway 21, then headed south through Hamiota toward Oakner, my next target. The town of Hamiota has no grain elevators any more, but it does have this Elephant-brand fertilizer elevator. 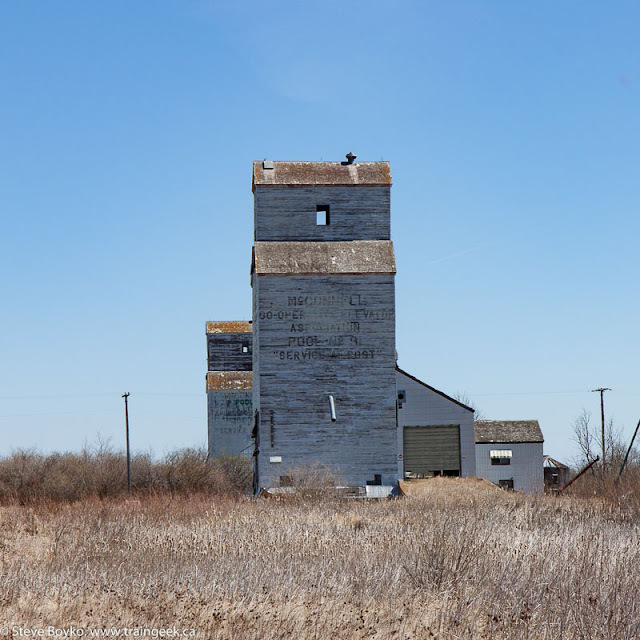 These elevators were built by the Consolidated Mining and Smelting Company of Canada, initially a subsidiary of CP. It later became known as Cominco. 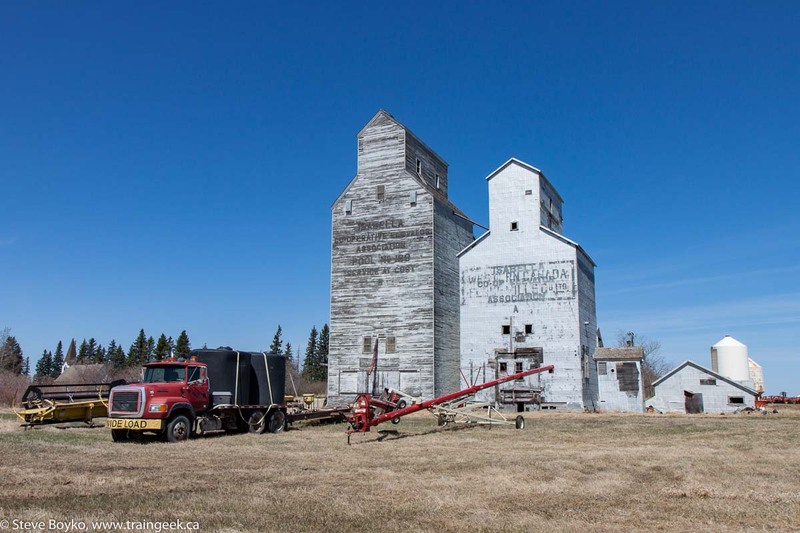 Eric Gagnon did a great write-up on Elephant elevators. I've seen a few around. 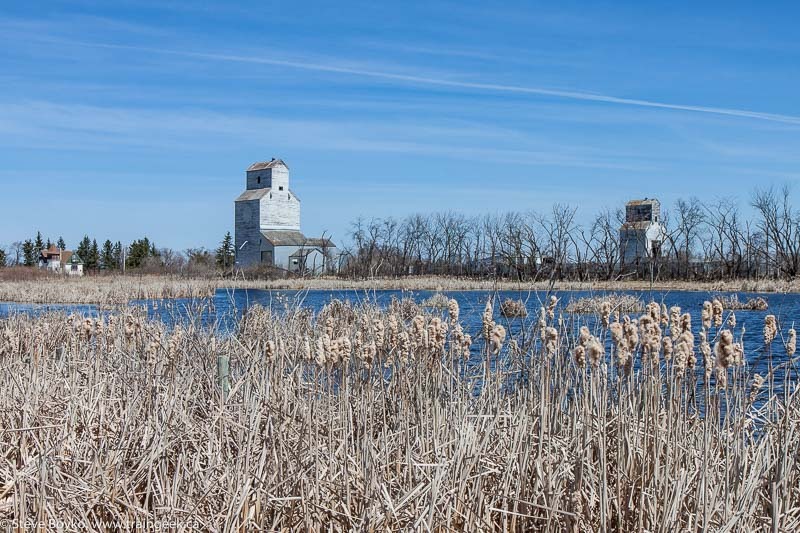 In the next post, we return to an active rail line, the mighty CN Rivers subdivision, for Oakner and beyond. Read on! You were at Beulah, did you go to the Uno trestle? It is only 5 minutes away from there! Hi Curtis, good question, but no, I did not go to Uno. 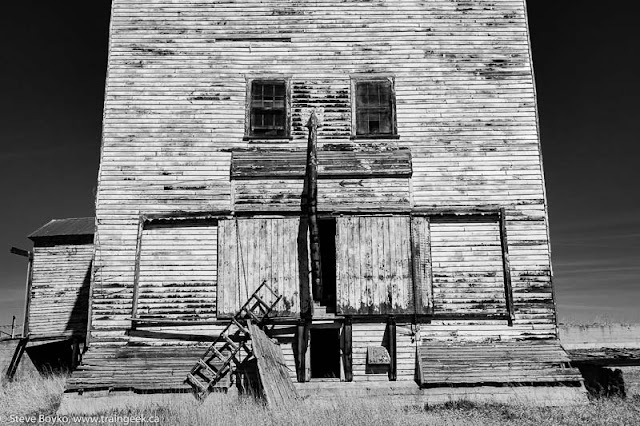 I was focused on grain elevators and I feared that if I went to the trestle, I would hang around there and lose too much time. Someday I will see that bridge! 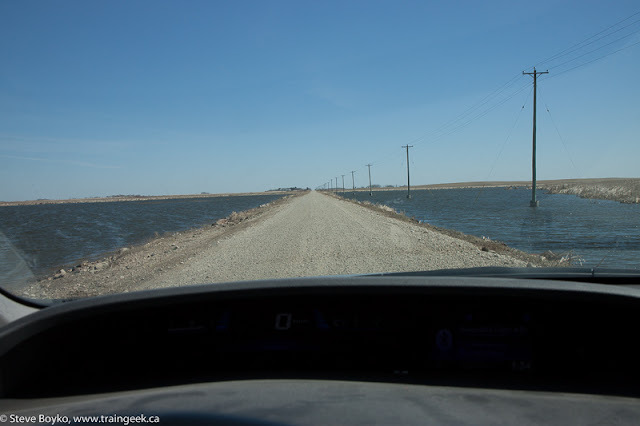 That road to McConnell looks like a causeway, given the water on either side. Was it just the spring thaw? 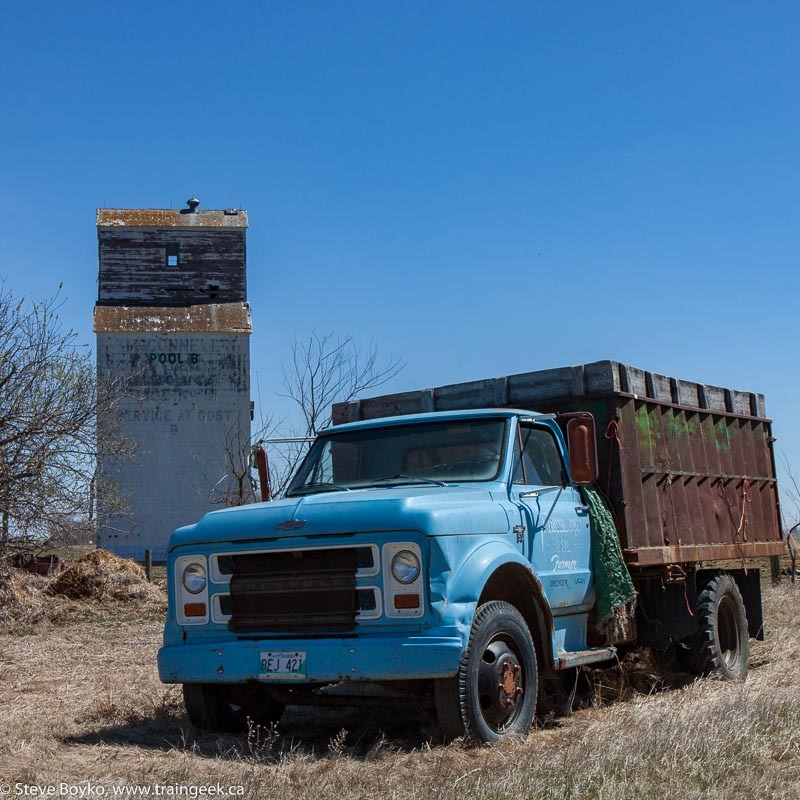 Great shots from that ghost town. Hi Michael, I'm guessing it was more from the spring thaw / rains than anything. That area of the province did seem to get more snow than Winnipeg did.